We are now getting towards the end of the Living willow season, only a couple of week left for willow planting but we have a few days available for any last minute projects. 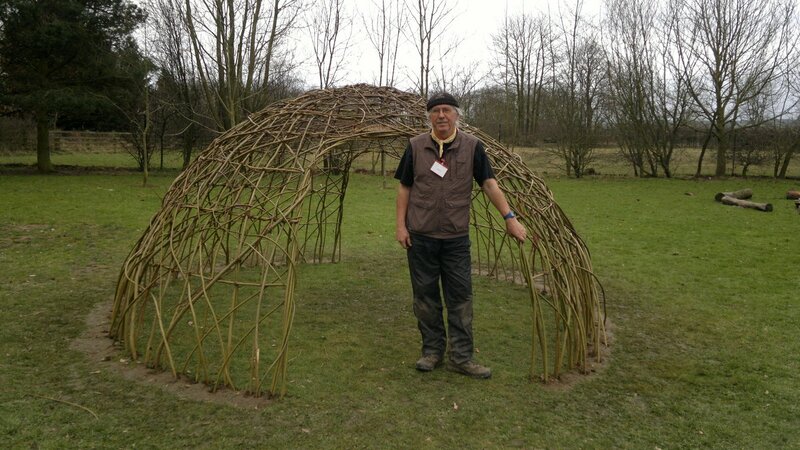 we will be running a living willow course in Hampshire on Monday and then have a week long project at a school in Bolton. We will working with schools on Arts Days after the Easter holidays. 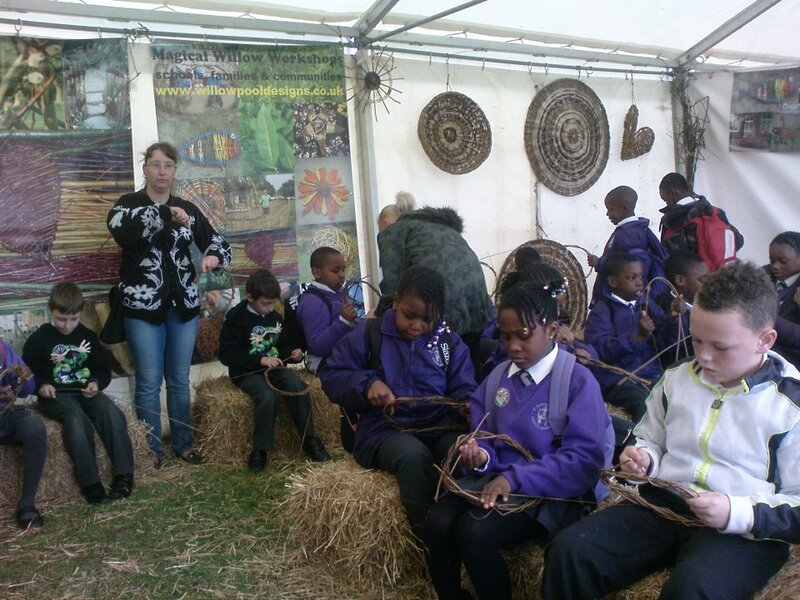 Wishing Trees and Giant suns are very popular as the children can get very involved in the weaving. I've posted a few pictures of a recent school willow art project. we worked with all of the children of the school to create a living willow dome. 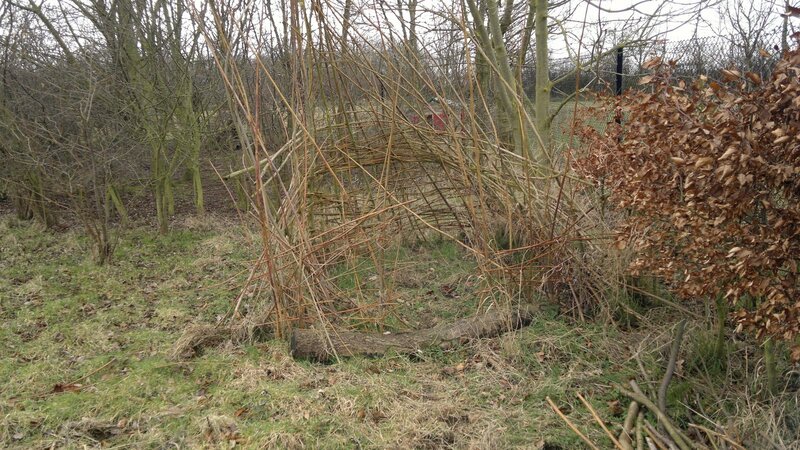 what was nice about working with this school was that we had built some living willow structures at the attached nursery school about 7 years ago. these structures are still in regular use and much loved by the chuldren. 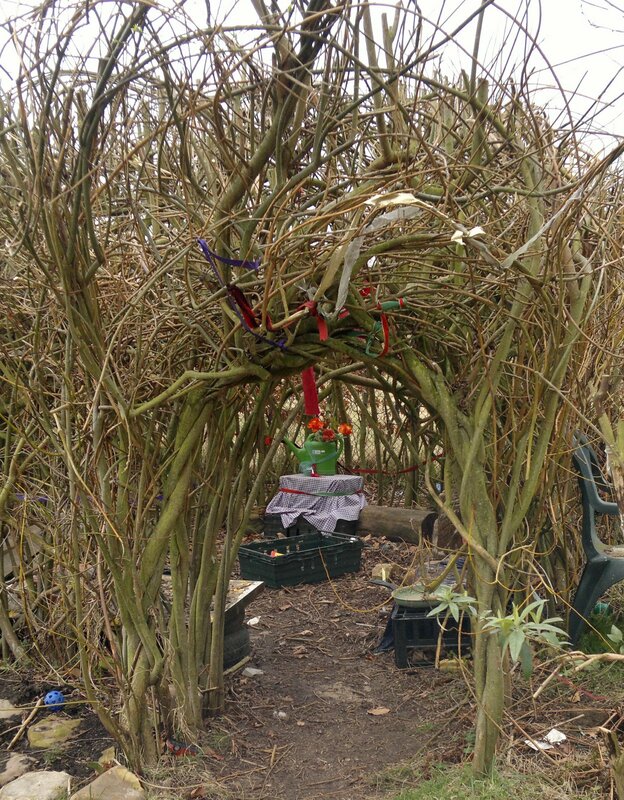 birds have begun to nest in the willow dome and the nursery children have made lovely rooms in the willow dome. 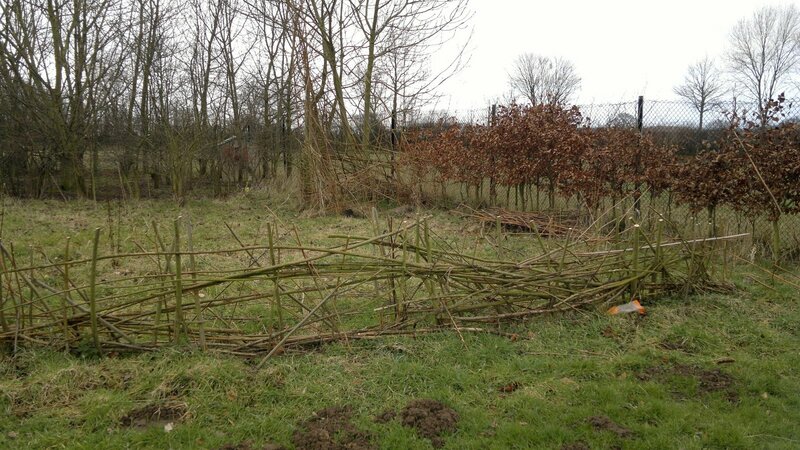 Knayton is very on Forest Schools and the children have been building dens and making fences. today's new construction will be the start of a new forest school area. we have been cutting our new willow beds today and are very pleased with the crop. 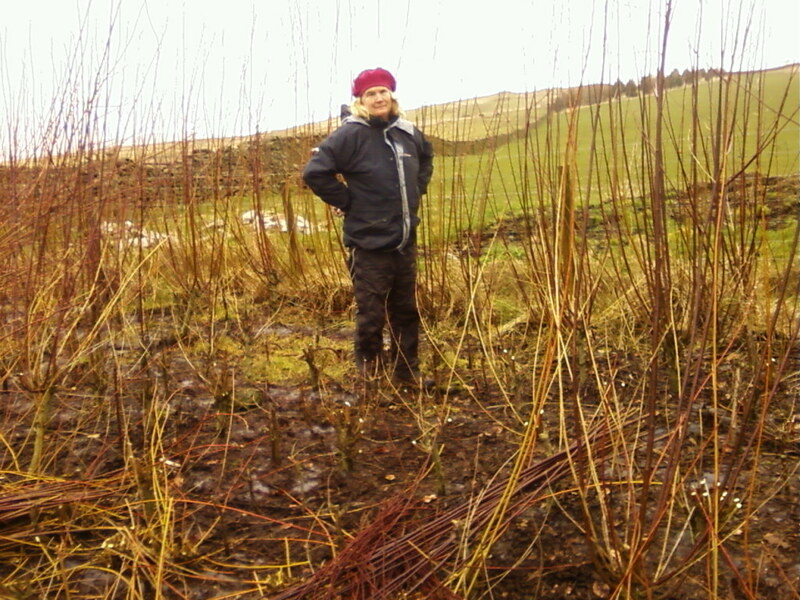 we have plenty of strong growing Flanders Red rods that will be great for some of the living willow tunnels that we are building tomorrow and next week. there is a patch that is bare at the moment. the soil is very shallow and on top of solid rock but a few experimental plantings last year have survived. these were willow rods planted as hoops, with both ends in the ground to prevent the rods drying out before they could make some roots. they seem to have worked quite well so we will be planting more this weekend. the only other problem is calves reaching over the fence and nibbling the new growth. we have a 'stand away' strand of wire in front of our sheep fencing which prevents the big cattle from reaching into the willows but the calves can get under. guess i'll have to put up another lower strand of wire. 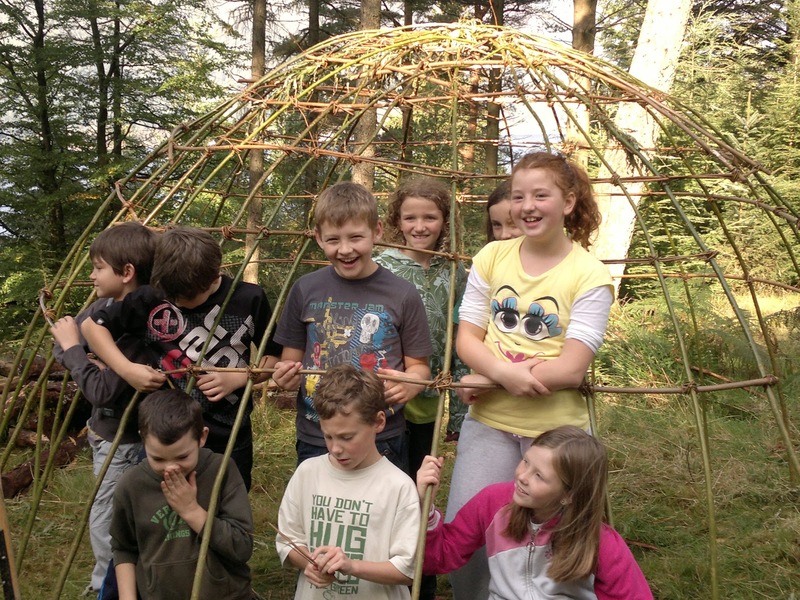 we still have a few dates available for living willow projects if there is anyone starting to think about a structure in their school garden or playground.